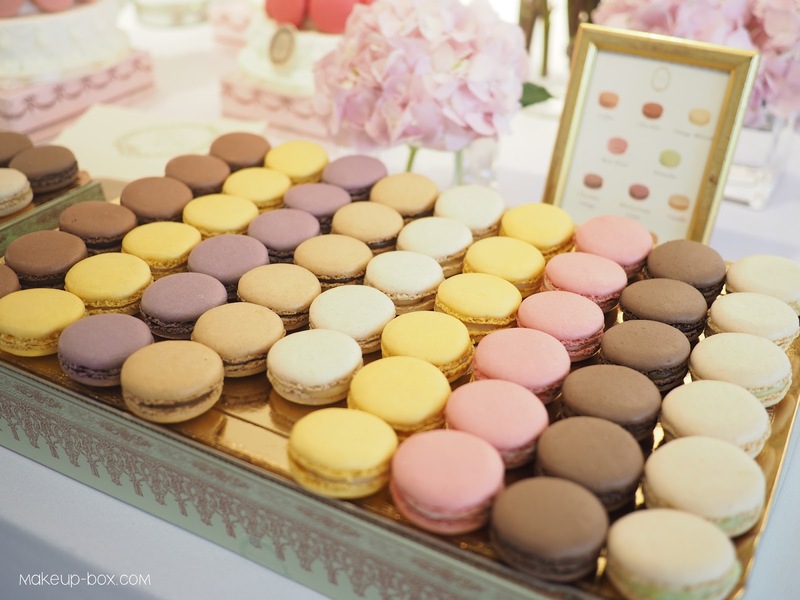 If you're not a beauty fanatic, you might only think of macarons when you hear the name Ladurée. But 6 years ago, they did branch into the luxury makeup world with the launch of Les Merveilleuses Ladurée, when they caused hearts to flutter with the original rose petal blushes (since then frequently copied). 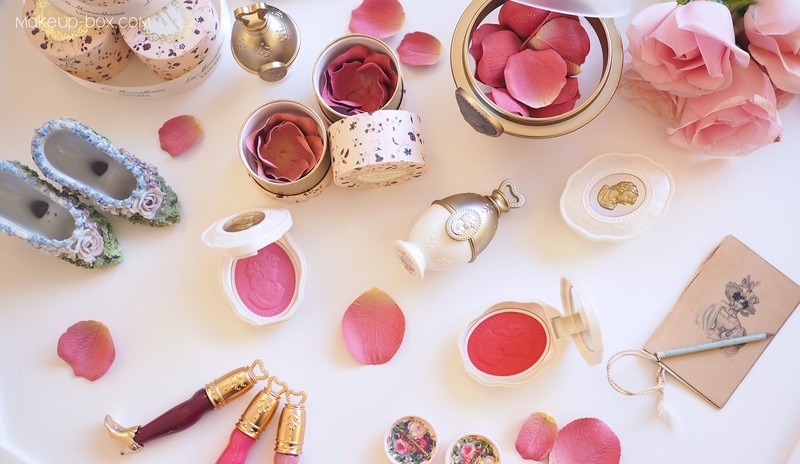 They've largely remained a niche brand, partly because of the price-point (S$105 for a box of 23 blush petals and another $45 for the refillable container) and also because they were only available in France and Japan for a number of years. I remember seeing beauty bloggers frantically arranging for swaps and asking friends and relatives to help them bring back Ladurée blushes back in the day. 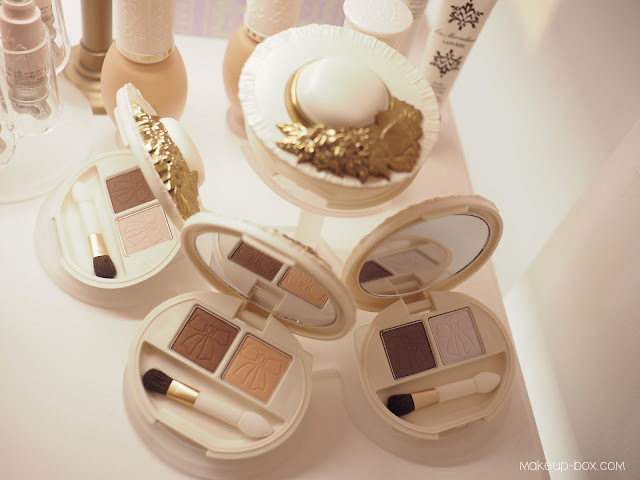 If the product presentation and textures remind you of brands like Jill Stuart and Anna Sui, it's because the line is Japan-made despite the Western branding, and shares the same zealous attention to detail when it comes to packaging and presentation, and super-smooth product textures. Colors are never too strong or pigmented aside from a few stronger blush shades; this is a line aimed at the upwardly-mobile consumer who values the pampering experience and visual or sensual treat on their dresser, but may not necessarily be too confident experimenting with lots of strong colors yet and just wants products that are amateur-friendly. Their most iconic product, Face Color Rose Ladurée comes in only three colors, all of which would work on a majority of Asian skin tones although 01 will need to be built up on tan skins and would not work on deep skin tones. 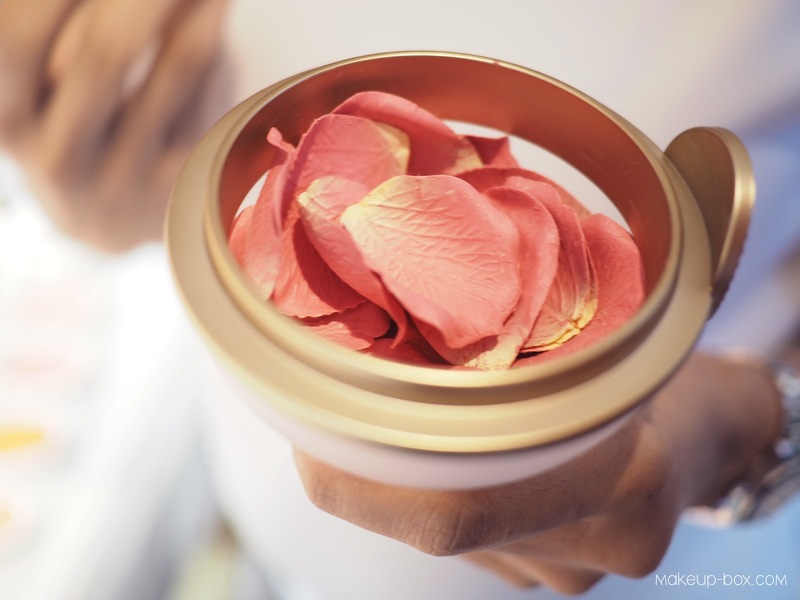 Each of the 23 petals in a box are artfully constructed using resin (not real rose petals, so they won't tear easily or decompose on your dresser) and each one is shaped differently so they won't clump and stack together in the container when you're trying to swirl your brush over them. Again, that attention to detail! I suppose the question for some is how long a box of petals will last given the hefty pricetag, but I'll have to get back to you on that one. My guess is most of the beauty fanatics and collectors who sprung for these a few years back likely have too many other blushes on hand to finish any, so I'm not hopeful of getting an answer there LOL. But if you're a Les Merveilleuses Ladurée customer, you probably won't be worrying too much about value. 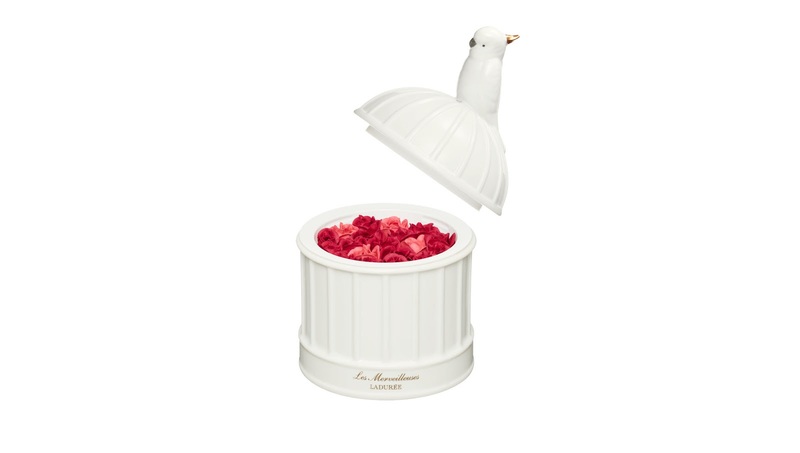 And if that's the case, I'll say pick up one of the 6th Anniversary Rose Ladurée (S$178) which features a mix of red and pink miniature roses in a jaw-dropping porcelain bonbonnière, complete with an adorable parrot on top. The blush shade is a red-pink flush and more intense than the regular Face Color Rose Ladurées, so use a light hand if you have pale skin. The bad news is this is not refillable. The good news is nobody is stopping you from dunking the classic rose petal blushes into this jar when you're done. 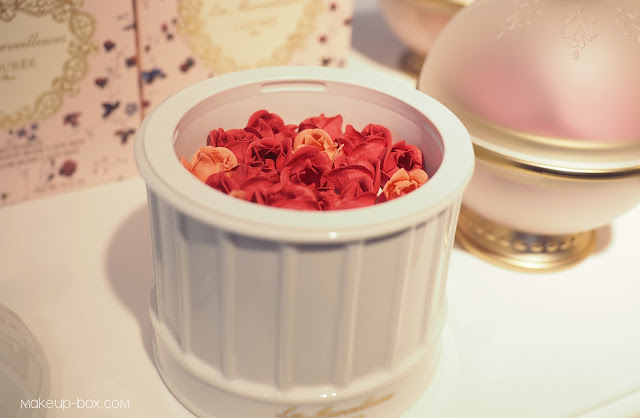 All Ladurée blushes contain rose extracts, lavender extract, rose honey, and cocoa butter so they not only look and smell good, but also condition the skin. I've yet to try out the cream blushes, foundations and eye products on myself so I can't give any other comments on those, but I would say if you're charmed by the presentation of the blushes, then the next things I suggest you check out would be their face brushes ($78-88). I do consider many mid-to-high end Japanese brushes to be a good investment, because they pay so much attention to the hairs used, and are constructed to last for years. 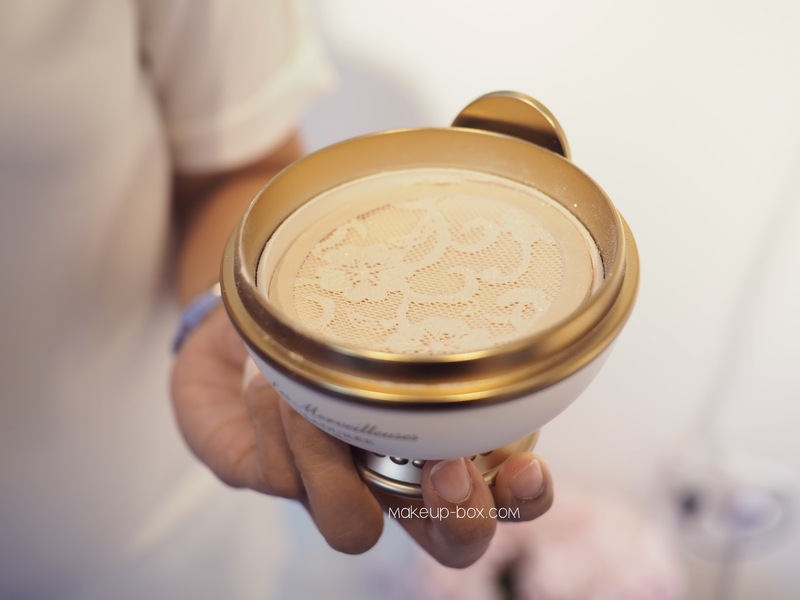 Ladurée uses top quality soft goat hairs (except for the foundation brush which is synthetic) and what I like is they are small enough for control and precision. If you've ever wanted your serious-looking Hakuhodos or Chikuhodos to be all gold and white with cotton-candy colored bristles, check these out. The last honorable mention is the Ladurée Face Powder N range ($120 for the refill, $50 for the pot) JUST because these are also gorgeous additions to your dresser. These three shades of translucent powders come in a brightening lavender, a neutral/transparent, and subtle champagne shimmer. The fun thing is the lace separator, which allows you to deposit a lace printed pouf of powder on your face before you brush it out. A fleeting moment of child-like self-indulgence. And isn't that what Les Merveilleuses Ladurée is all about? ★ HACKING is a broad term Engagement. I will brief you through the process of hacking and securing Website since most of the Hackers are after it. All the startup owners or aspirants should know. Wanna hack website Or A Database ? • Tip : if you type whois http://yourdomain.com in Linux you will find details like Domain registrar email address,phone number his address etc . So when you register your domain and purchase hosting do buy icann protection with it, it does not cost that much. in this way you will be able to protect your info. • Detecting SQLi vulnerability is easy just write single inverted comma after url php?id=1 Like php?id=1′ if it returns an error .Then It’s ready to be hacked. This is the least you can do to protect yourself from hackers agianst SQLi.